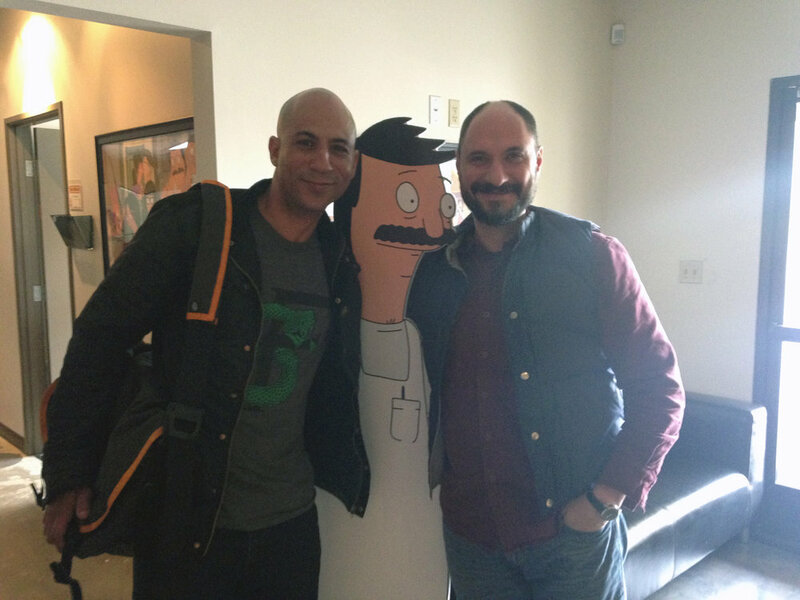 Creator and mastermind Loren Bouchard and Sirron Norris. In 2008, Sirron Norris was asked by Producer Loren Bouchard to assist in creating artwork for an animated pilot. At the time, the pilot was about a family of cannibals, who ran a burger joint. 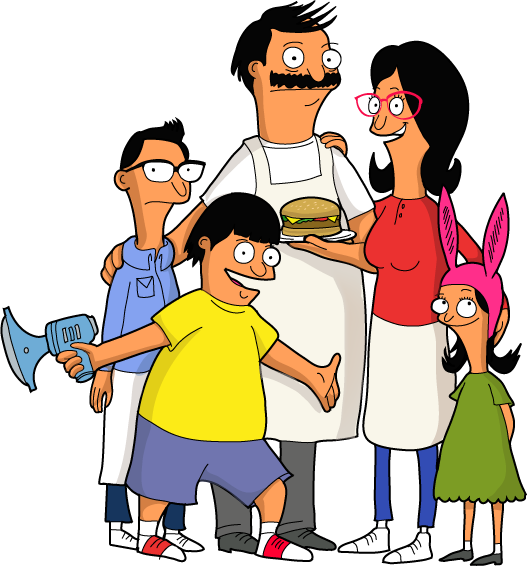 Eventually, the pilot was picked up and is now a two time Emmy award winning show, called Bob’s Burgers. Norris created the original backgrounds of the show, highlighting his signature style of Victorian homes and storefronts of San Francisco. 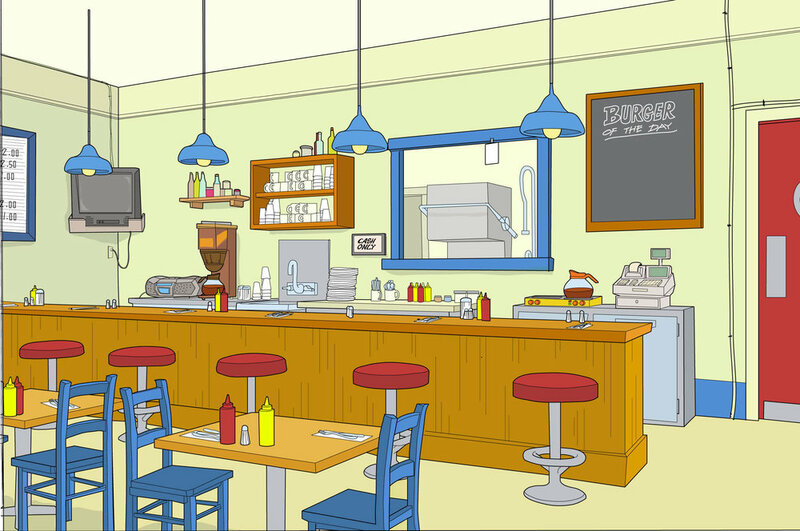 Norris also created the backgrounds for inside the restaurant and updated the characters in collaboration with Bouchard’s vision. His original backgrounds can still be seen in the show today. The show was created on the corner of Harrison and 16th Streets in the Mission District of San Francisco. Norris worked with Bouchard and writer Nora Smith for over a year creating the pilot episode that would eventually be the framework for the show you see today. Norris used Bouchard’s home as the model for the restaurant, which is a few blocks away from the epicenter of Norris’ many public murals. Therefore, the show’s look and feel are heavily influenced by the Mission District. Today, over 10 years later, the show is going strong with a feature length movie planned ahead. The images below were created in 2008, during the time the show was being created.